Answers to some of your most pressing soft drink questions are about to be answered. Get to the bottom of various soda claims, and find out if there’s a workaround that lets you keep your favorite carbonated beverages on tap without traumatizing your teeth. Q. 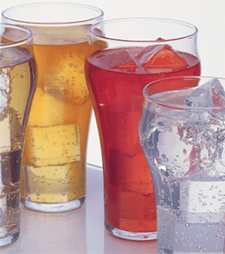 Is it better to choose clear-colored sodas over darker-colored ones? Neither option is a healthy choice for your teeth, but upon regular consumption, caramel-hued soft drinks have been known to stain teeth more quickly. Cosmetic differences aside, the extremely high sugar content of any soda, regardless of color, causes lasting damage to tooth enamel, resulting in decay, cavities and/or tooth loss in extreme situations. Q. Do diet sodas get a pass since they’re sugar-free? The appeal of diet sodas is understandable, especially when the packaging comes with alluring labels of “sugar free” or “calorie free”. But the fact of the matter is, even with sugar substitutes, diet soda is still extremely acidic. This means diet soda will still have the same corrosive effect on the enamel, and should be avoided to prevent tooth damage. Q. Is corn syrup a more harmful soft drink sweetener than cane sugar? Similar to the misconception about diet sodas, the threat of tooth decay, cavities and other oral health problems isn’t based on the type of sweetener used. No matter the source of sugar, enamel erosion will happen with regular consumption of any sweetened soft drink. Q. If I drink soda through a straw, will this protect my teeth? Using a straw can limit contact of sugar and acid with the surface of your teeth, but only when positioned correctly. Ideally, the opening of the straw should be directed towards the back of the mouth, but the likelihood for accidental contact is still high if you become distracted or inadvertently swish the liquid in your mouth. Ultimately, the best way to prevent tooth decay due to soft drinks is to avoid drinking them altogether. Q. 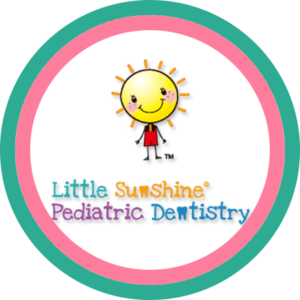 What are teeth-friendly alternatives to soda? If you find carbonated beverages especially refreshing, switch to a seltzer. You’ll get the same fizz without the threat of tooth decay. For a flavorful spin, dress up seltzer or plain water with cut up fruit (instead of turning to juice, which can erode tooth enamel due to its fructose content). Milk is also another good choice due to the enamel-fortifying calcium it contains; however, it does contain natural sugar, lactose — so never have a glass before bed without brushing your teeth. Q. What can I do to combat enamel erosion if I can’t quit drinking soda? New drinks are always hitting the shelves, but many may not live up to their health claims. Before making something your beverage of choice, get your dentist’s perspective to understand how it can impact the health of your teeth.